Another set of innovations helps solve one of artificial intelligence’s current limits: lack of personalization, which can hinder how AI communicates with people. Among the industry-leading 1,400 AI patents IBM inventors were granted in 2017 is a patent for a system that can help AI analyze and mirror a user’s speech patterns to improve communication between AI and humans. IBM inventors also received 1,200 cybersecurity patents, including one for technology that enables AI systems to turn the table on hackers by baiting them into email exchanges and websites that expend their resources and frustrate their attacks. It could substantially reduce the security risks associated with “phishing” emails and other attacks. IBM inventors also patented significant inventions in emerging areas like quantum computing, including a new way for improving a quantum computer's ability to acquire and retain information – otherwise known as “signal readout fidelity.” This can lead to efficiency in the components necessary to build a quantum computing system. • A machine learning system designed to shift control between an autonomous vehicle and a human driver as needed, such as in an emergency. • A method that leverages blockchain technology to reduce the number of steps involved in settling transactions between multiple business parties, even those that are not trusted and might otherwise require a third-party clearinghouse to execute. 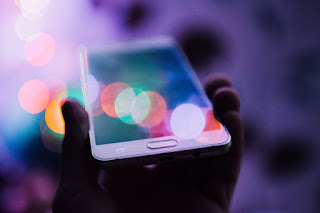 • A technique that automatically elevates the security protection of a mobile device when it determines that device is located far from its owner and is likely under someone else’s control.